Wake up or wind down with a steaming hot cup of tea. Pure Leaf home brewed hot teas make it easy to find a flavor you love for an unforgettable tea experience. 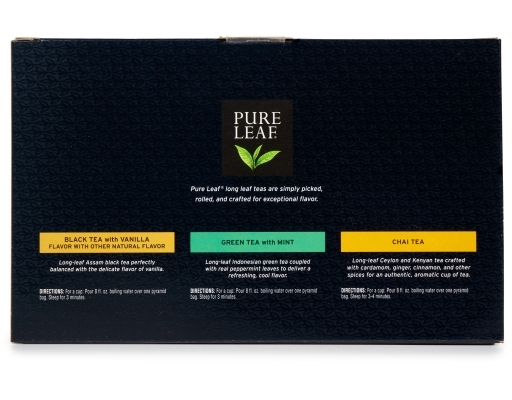 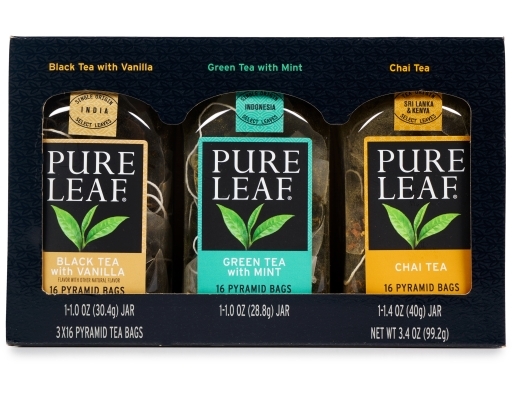 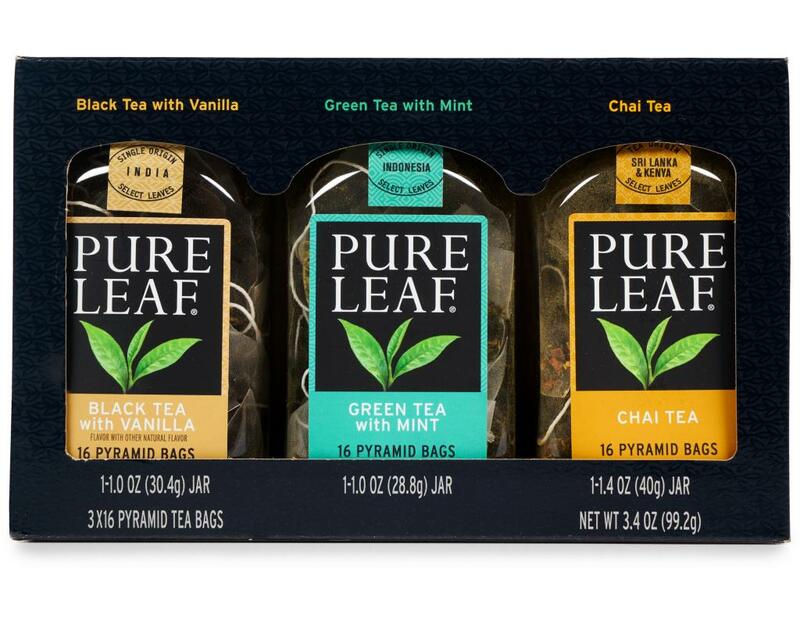 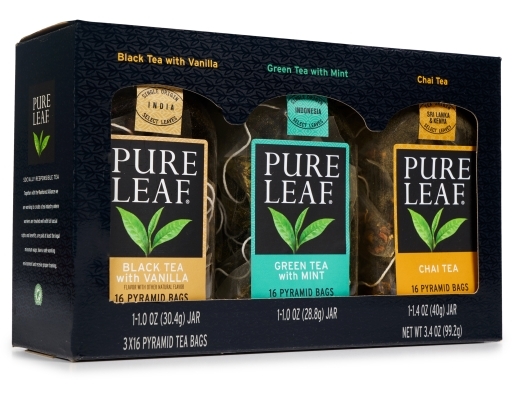 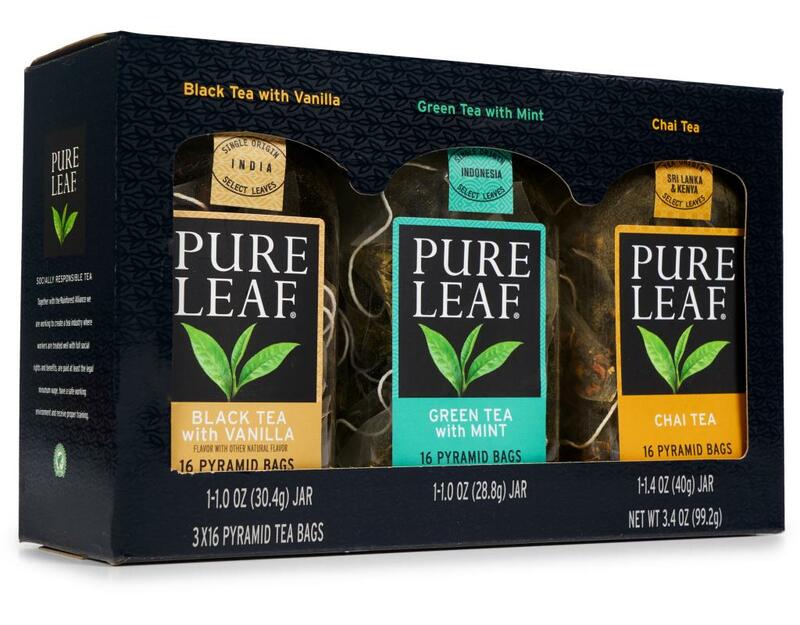 Pure Leaf long leaf teas are simply picked, rolled, and crafted for exceptional flavor. 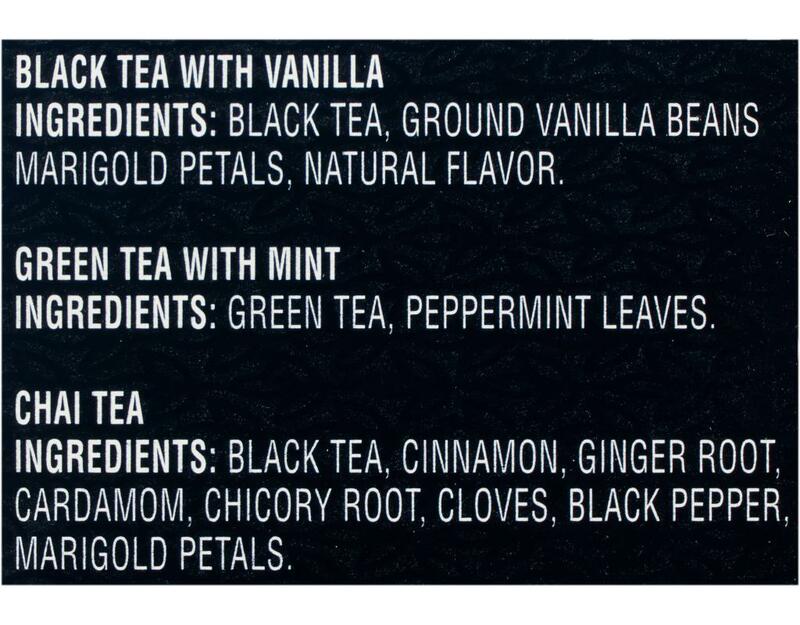 • 16 x Black Tea with Vanilla: Long-leaf Assam black tea perfectly balanced with the delicate flavor of vanilla. 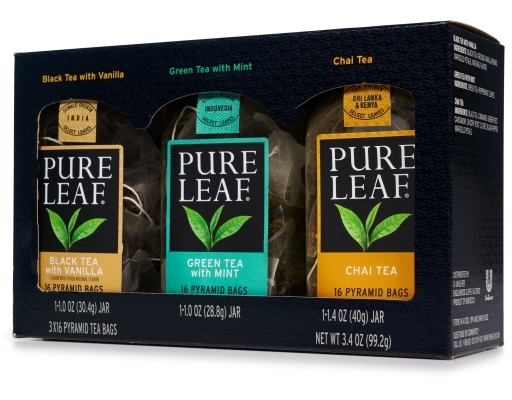 • 16 x Green Tea with Mint: Long-leaf Indonesian green tea coupled with real peppermint leaves to deliver a refreshing, cool flavor. 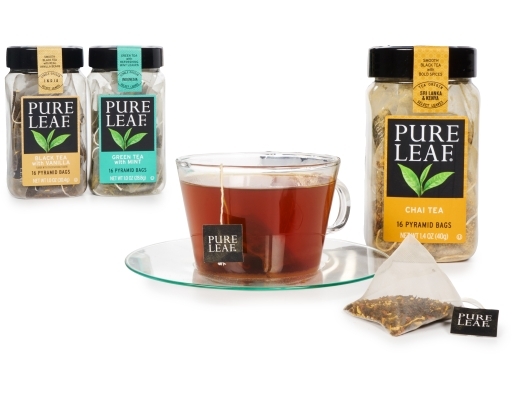 • 16 x Chai Tea: Long-leaf Ceylon and Kenyan tea crafted with cardamom, ginger, cinnamon, and other spices for an authentic, aromatic cup of tea. Socially Responsible Tea. 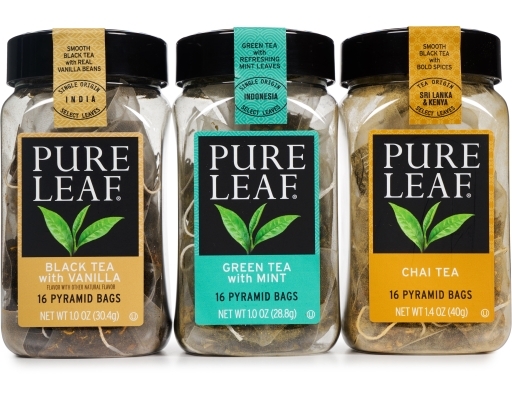 Together with the Rainforest Alliance Pure Leaf is working to create a tea industry where workers are treated well with full social rights and benefits, are paid at least the legal minimum wage, have a safe working environment and receive proper training.